Burma lies in Southeast Asia, bordering the Andaman Sea and the Bay of Bengal with some 1,930km of coastline. Bagan is an ancient city located in the Mandalay Region of Burma (Myanmar). We teach nothing but just burmese and the best in Singapore. 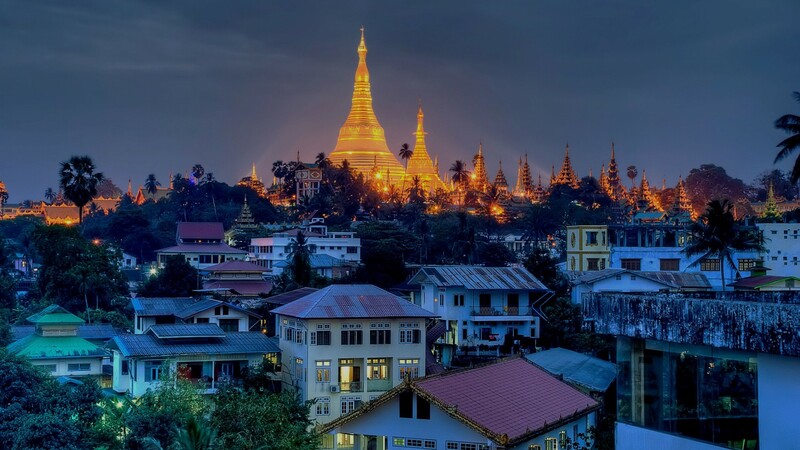 Not just learn to speak the language alone, but learn about their culture and what makes Burma special. Picking up a new language is never easy, hence we have prepare our course to help everyone to achieve it. Experience about burmese in person. We organise trips and gathering for our students. Join Us. A great majority of people do so as they are already based in Burma, planning to go there, want able to converse with locals in their own language or increasingly, with the country’s slow but steady opening to the rest of the world, to be able to go about conducting commerce independently and confidently with locals. Whatever the needs of learners who might have other plans in mind, LearnBurmese aims to provide a strong foundation in the grammer and pronunciation system of Burmese. Whether exchanging pleasantries with the lively and generous locals or arranging a vacation itinerary, having a high-level discussion with government officials or negotiating a business deal, much of the vocabulary of everyday life crops up all the time, even in specialised topics. Believe it or not, a new learner can get by in Burmese surprisingly with just a few sentence types. By the end of Level 1, diligent students should be able to confidently order a meal at a restaurant in the language as did LearnBurmese’s founder discovered not just at the Burmese food court in the basement of Peninsula Plaza but even in the heartlands of the Burmese countryside! 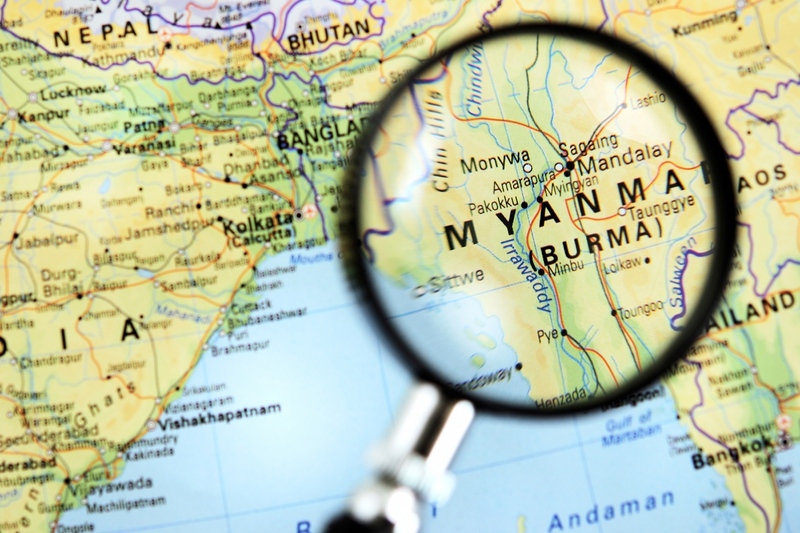 Burmese is the national language of Burma (Myanmar) and the native language of the pre-dominant ethnic group (the Bamar, hence “Burmese”) and related sub-ethnic groups. It has over 40 million speakers, of which over three quarters use it as their first language. 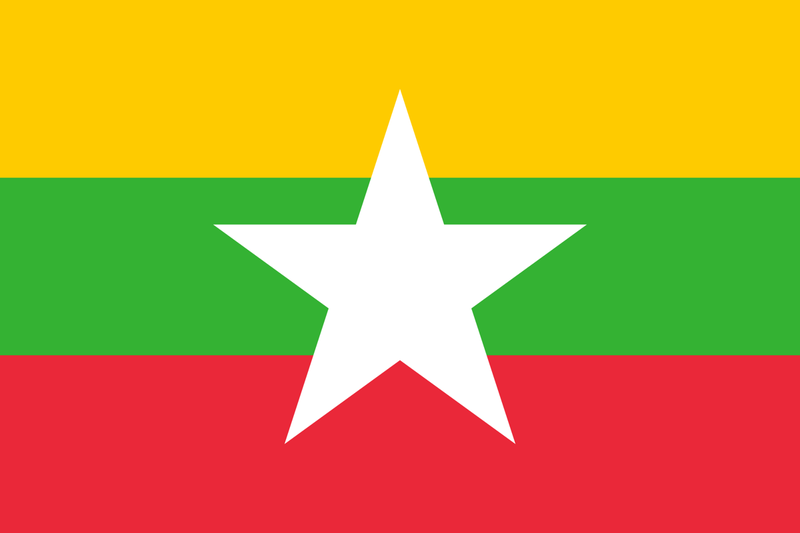 Standard Burmese is typically of the variety spoken around the Yangon and Mandalay regions with accent and slang varying with location. 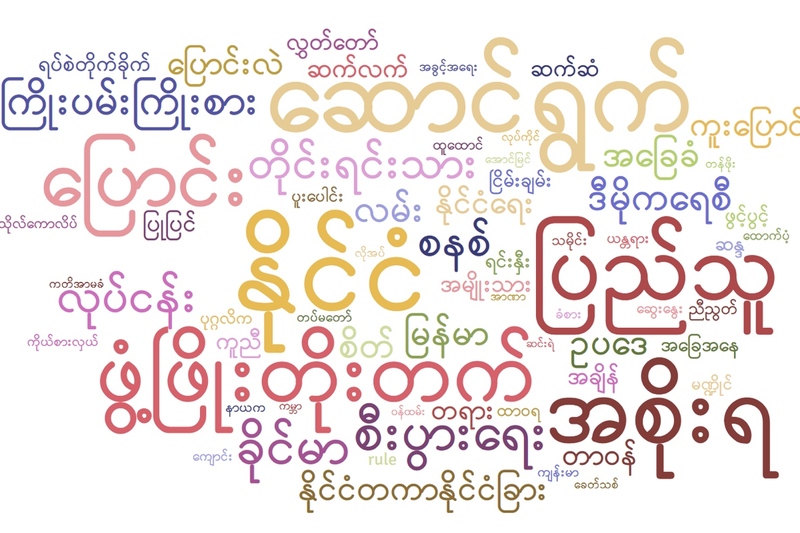 Many other ethnic languages exist but by and large with Burmese, you will have no problems being understood throughout the country. 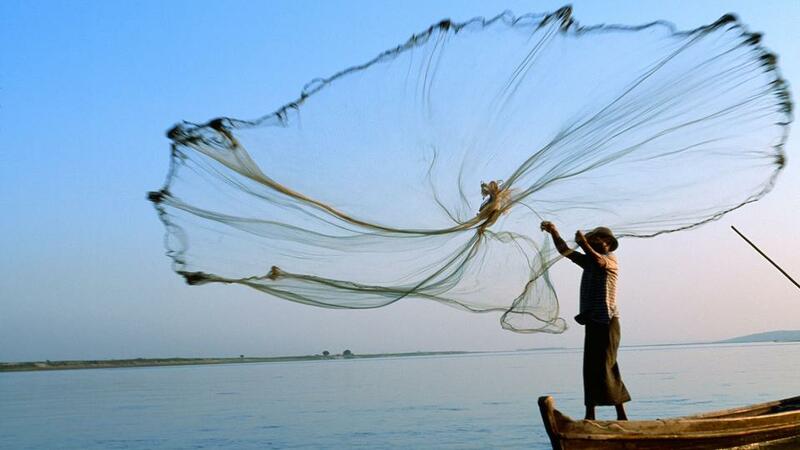 Burma lies in Southeast Asia, bordering the Andaman Sea and the Bay of Bengal with some 1,930km of coastline. Its neighbours include India and Bangladesh to the northwast; China to the northeast; and Laos and Thailand to the east and south. Its land boundaries total 5,876km – the longest stretches being with China (2,185km), Thailand (1,800km) and India (1,463km). At 676,578 square kilometers, it is slightly smaller than Texas and 30% larger than Thailand. 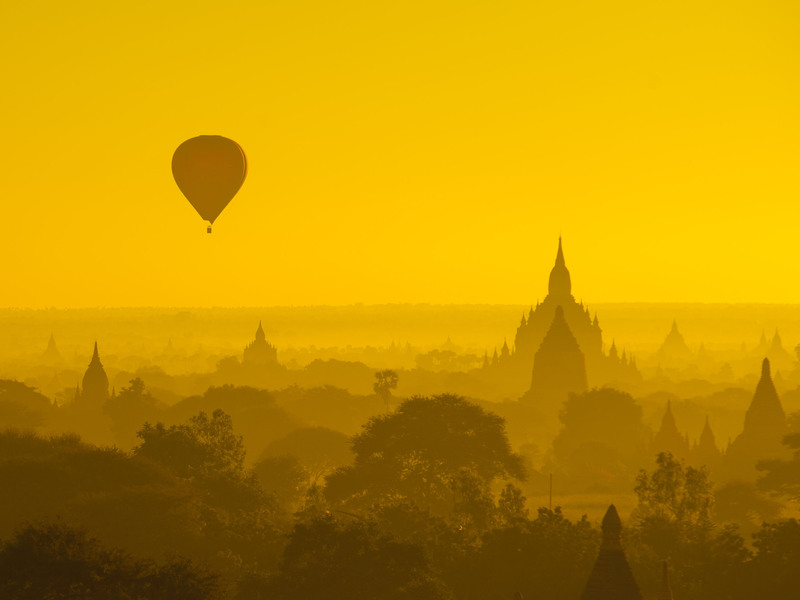 The Burmese language specialist – we teach nothing else! Madam. May Than Nwe is a Myanmar native born in Yangon. Her qualifications include a B.Sc (Hons), M.Sc., Diploma in Education and MBA. Being effectively bilingual in English and Burmese with an extensive background in lecturing, she has been actively conducting and translating the Burmese language. She teaches students from Singapore’s Ministry of Defence and Ministry for Home Affairs and has been an Associate Trainer with the National University of Singapore for more than 13 years. Her publications include “Conversational Myanmar” published in 1997. She has been teaching with LearnBurmese.com.sg since September 2014.